This is one of those recipes that I feel slightly guilty about actually calling a recipe, that’s how dang easy it is. All it takes is four ingredients and about ten minutes to put it all together, and while it is wonderful alongside chicken or steak or whatever else you are cooking up on your grill, it is also just plain perfection all by itself. So with that, welcome to one of my all time summer favorites: tomato goat cheese salad. Since there are only four ingredients, every one of them counts, so go for the very best you can find. 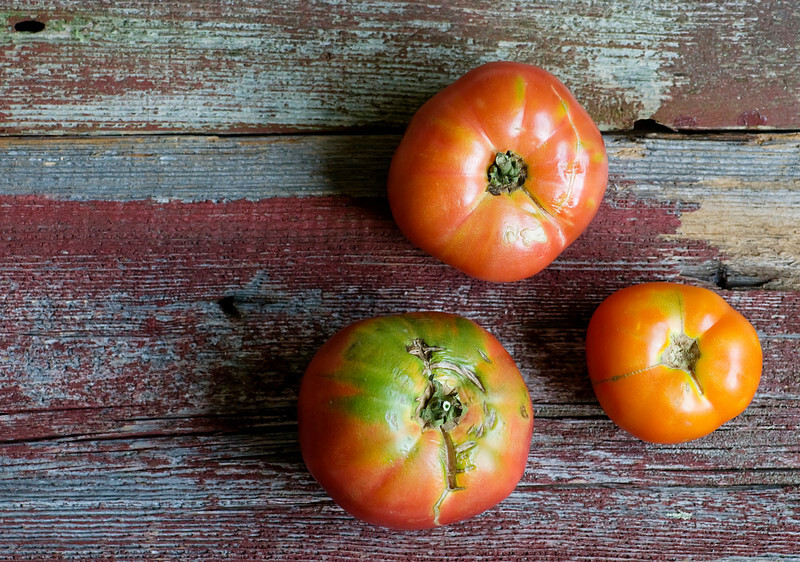 We are happily right at the start of beautiful fresh local Jersey tomato system where I love, so the first ingredient is a few of these guys. They may not be handsome, but trust me when I say they have a great personality. 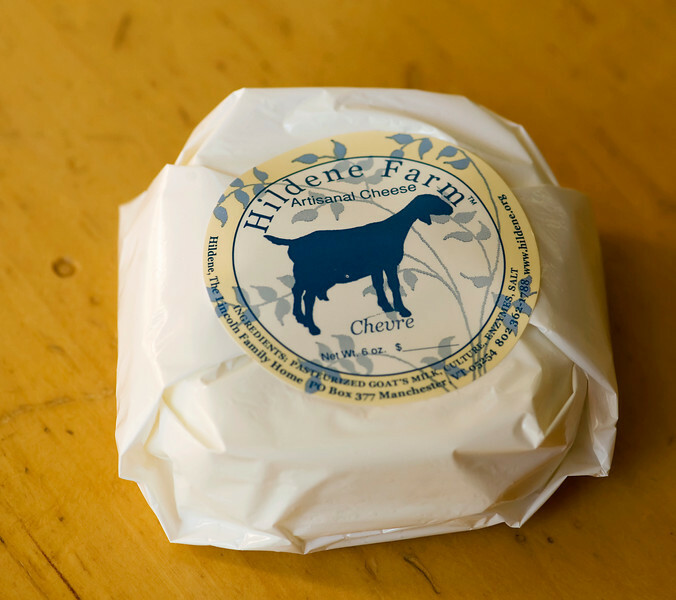 Next, you need some of the best goat cheese you can find…I find great goat cheese at Hildene in Manchester, Vermont. And finally, you need some really nice balsamic vinegar and some really nice olive oil. These are two ingredients that my kitchen is never, ever without. I’m thinking you can probably guess the rest, but just to be official about it, you need to slice up those tomatoes, lay them on a platter and scatter pieces of soft goat cheese all over them. 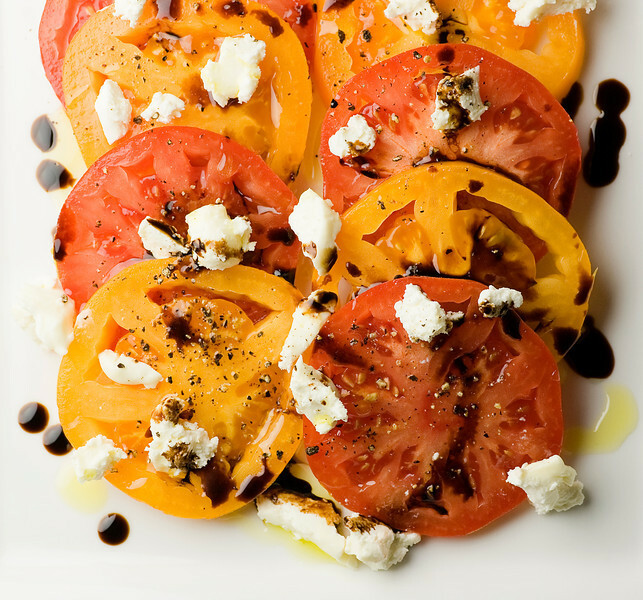 Drizzle with a little bit of balsamic vinegar and a little olive oil, and you are all set. Tomato goat cheese salad heaven. And just to be even MORE official, here’s the official recipe! Cut the stem out of the tomato with a paring knife and slice the tomatoes into nice thick slices. Lay them on a platter or on individual salad plates. Scatter torn bits of the goat cheese over the tomatoes. Drizzle with a few drops of vinegar (not too much as you don’t want to overwhelm the tomato taste) and a little olive oil. Grind some fresh pepper on top if you like and serve! Ah, a goat-y Caprese salad. :) Those tomatoes are gorgeous! Being in California, I will have to give local girl, Laura Chenel the goat cheese honors. We’ve been enjoying her cheeses for longer than I care to admit. All you California people take note – always good to have a great goat cheese source! I just bought some amazing heirloom tomatoes at our neighborhood farmer’s market today. Now the hard part is trying to decide between goat cheese and feta. Mmmmmm. Now this is EXACTLY why I love summer so much. It’s all you need in life! Beautiful! I love goat cheese :) this salad looks simply perfect! Goat cheese makes everything better.